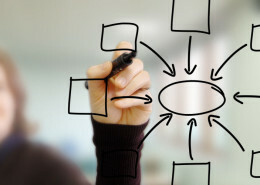 Steckelberg Consulting, LLC works with organizations who want to effectively carry out their mission and vision. Our services are designed to encourage excellence within your organization by providing you with solutions that empower you and your staff. Browse through our programs and topics area to learn what Steckelberg Consulting, LLC specializes in. Many can be customized for your organizational or educational needs! 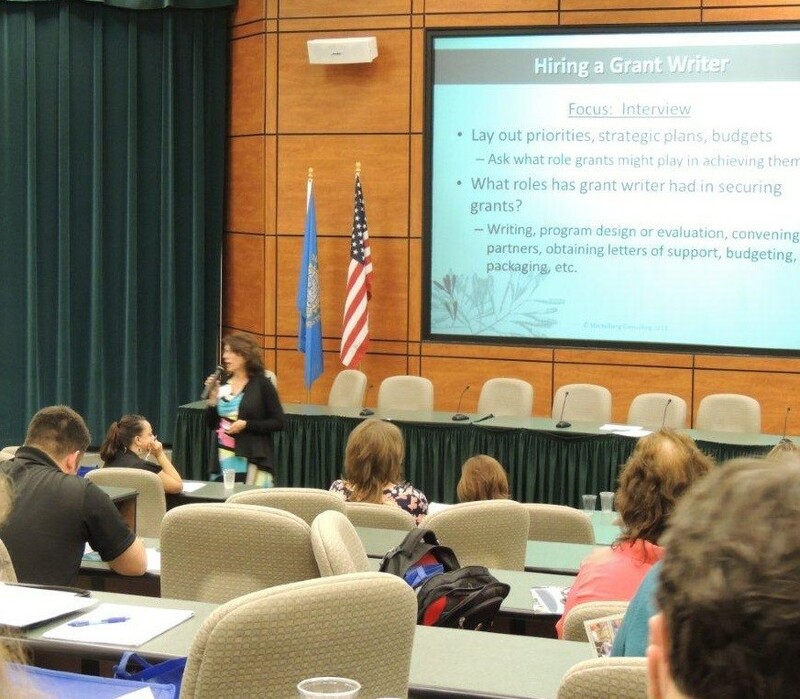 Marie was invited by South Dakota State University (SDSU) Extension to present at a grant writing conference for community leaders and local volunteers who are interested in learning how to create winning grant applications. 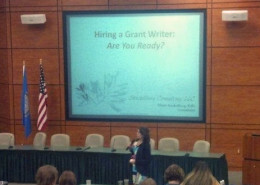 “Hiring a Grant Writer: Are You Ready?” Presentation focused on things to consider when hiring a grant writer and how to prepare for working with a grant writer. 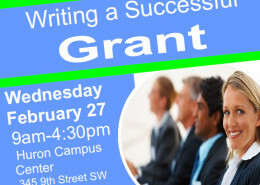 Sessions were relevant for beginners as well as more advanced volunteer grant writers. 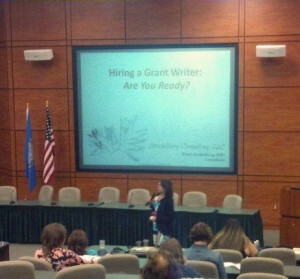 As a colleague of Dr. Steckelberg working in the Rising Star Educator Program (RSEP) and as a professional mentee of hers myself, I have witnessed Dr. Steckelberg in action making a difference in education. 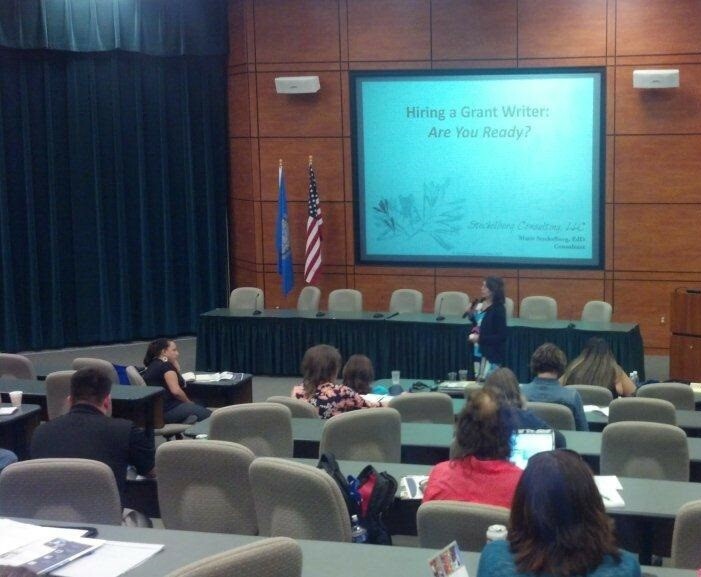 Her workshops’ audiences range in ability/experiences yet she differentiates her presentations to meet the needs of those in attendance. Dr. Steckelberg models her commitment to excellence through a hands-on approach for presenting STEM content and lessons for both pre-service and veteran educators. She is an inspiration and encourager for our RSEP team as we journey together to meet the mission of our Rising Star Educator Program. I hired Marie to run our statewide program because I knew her to be someone who gets projects done with a mind for timeliness and quality. She has proven this true. As I expected her skills have added greatly to the success of our project. I'll continue to work with her on this and future projects and highly recommend her to others. Dr. Steckelberg's work has always reflected a standard of quality and her determination to produce that quality has been an inspiration. Marie's knowledge and experience make her highly competent and effective. Professional and personable, she is easy to work with and delivers excellent service. © 2019 Steckelberg Consulting, LLC. All Rights Reserved.